Marshal Johnson began his Law Enforcement career in November 1991 as a Reserve Deputy with the Adams County Sherrif's Department. In 1997, Johnson became an Indiana Certified Jail Officer and Transport Officer for the Sherrif's Department. Johnson became a part-time officer for the Town of Monroe, Indiana, then was named as the Town Marshal in Monroe in the spring of 1999. In December of 1999, Johnson joined the Geneva Police Department as a full-time Deputy Marshal. In August of 2002, after 3 years' service at Geneva Police Department, Johnson was named as the Town Marshal. Marshal Johnson gradtuated from the 144th Indiana Law Enforcement Academy's Basic class in 2000, and specializes in fingerprinting crime scenes and crime scene investigation. Chief Deputy Rasawehr began his Law Enforcement career in 2005 as a Reserve Officer with the Berne, Indiana Police Department, where he served for 4 years. In November of 2009, Rasawehr was hired full-time with the Geneva Police Department as the midnight-shift officer. In 2015, Rasawehr was promoted to the rank of Chief Deputy Marshal and afternoon-shift officer. Rasawehr gratuated from the 189th session of the Indiana Law Enforcement Academy's Basic class in October of 2010. Since then, Chief Deputy Marshal Rasawehr has become an Indiana Law Enforcement Academy Certified General Instructor, Certified Medical First Responder, and the Geneva Police Deparment's Certified Armorer. As Chief Deputy Marshal, Rasawehr's duties include street and business patrol, criminal and accident investigations, and maintaining order in the day-to-day operations of the Geneva Police Department. As a School Resource Officer, Deputy Marshal Dailey's duties are the safety and security of the South Adamas Schools; when school is not in session, his duties include street and business patrol and criminal and accident investigation in the Town of Geneva. ​Deputy Marshal Swanson began his law enforcement career in Anoka Minnesota as a volunteer Special Deputy. Swanson then also received an Associates Degree in Law Enfocement while there as well. ​Reserve Sergeant Schmit began and ended his Law Enforcement career in Geneva. Schmit aided in the training of many Reserve Officers over his lengthy span as Reserve Sergeant, often serving as an ear to any Officer facing a problem, department related or not. In February of 2014, Reserve Sergeant Schmit was awarded the Volunteer Award for his many years of service to the Town of Geneva. As a testament to his dedication, fellow officers had to lie to Schmit to ensure his attendance, as he did not believe his work deserved an award. His acts of volunteering were not done for an award or awknowledgement; they were merely for the town he was so fond of and dedicated his life to. ​On October 2, 2014, Reserve Sergeant Schmit passed away. He was allowed burial in his uniform, an honor normally saved only for full-time officers. Law Enforcement Officers from all surrounding areas attended his funeral, and their stories of his antics with departments and officers dated back to the beginning of his career in 1998. ​Known on the Geneva Police Department as G5, Reserve Sergeant Schmit's badge number has been retired, and his dedication to the town and department will always be remebered. Smitty himself will never be forgotten throught the Town of Geneva and the Law Enforcement Community. Reserve Corporal Jack began his Law Enforcement career as a Confinement Officer with the Blackford County Sherrif''s Department in 2012. Jack became a Reserve with the Geneva Police Department in 2014, and was promoted to Corporal in 2015 by his peers. ​Corporal Jack completed his Indiana Law Enforcement Pre-Basic course in 2014. ​As Reserve Corporal, Jack's general duties include street and business patrol, criminal and accident investigation, and Reserve Department fundraisers. Jack aids in maintaining order in the day-to-day operations of the Rserve Department, and works alongside the Reserve Sergeant in regards to Reserve training and discipline. Reserve Deputy Carpenter began his Law Enforcement career with our Department at the end of 2017. 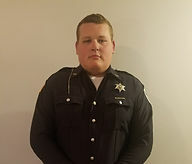 He completed his Indiana Law Enforcement Pre-Basic course in 2018. Carpenter's duties include street and business patrol, criminal and accident investigation and participating in Reserve Department fundraisers. Reserve Deputy Marshal Love began his Law Enforcement Career as Reserve Deputy Marshal with the Geneva Police Department in 2010. Having made an advancement to the position of Corporal during his tour, in 2014 Corporal Love had to take a leave of absence for personal reasons. In 2016 he rejoined the Reserve Force once again becoming an active Officer. ​As a Reserve Deputy Marshal, Love's duties include street and business patrol, criminal and accident investigation, and participating in Reserve Department fundraisers. Reserve Deputy Marshal Hess began his Law Enforcement Career as Reserve Deputy Marshal with the Geneva Police Department in 2016. Being a newer young officer, Hess has ambitions of being full time some day. 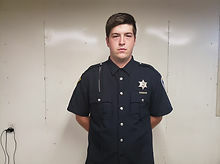 Hess's interest in law enforcement also finds him as an intern with the Probation Department and also currently seeking a Degree in Criminal Justice. Hess has successfully completed the ILEA 40hr pre basic course. ​As a Reserve Deputy Marshal, Hess's duties include street and business patrol, criminal and accident investigation, and participating in Reserve Department fundraisers. Reserve Deputy Miller began his Law Enforcement Career with our Department as a Reserve in 2018. Successfully completing the required ILEA 40hr Pre Basic, Miller now has the duties of; street and business patrol, criminal and accident investigation and participating in Reserve Department fundraisers. Reserve Deputy Marshal Stronczek began his Law Enforcement Career as a Wells Co. Sheriff's Dept. Reserve Deputy and as a Confinement Officer with the Jay Country Sherrif's Department. Stronczek joined the Town of Geneva Reserve Department in 2016 after successfully completing ILEA's 40hr pre basic course. Stronczek also holds a Master of Science in Law Enforcement and Public Safety Leadership, along with being a Adjunct Professor with Indiana Tech, where he teaches criminal justice. ​As a Reserve Deputy Marshal,Stronczek's duties include street and business patrol, criminal and accident investigation, and participating in Reserve Department fundraisers. Reserve Deputy Pugsley began his Law Enforcement Career with our Department as a Reserve in 2018. Successfully completing the required ILEA 40hr Pre Basic, Pugsley now has the duties of; street and business patrol, criminal and accident investigation and participating in Reserve Department fundraisers.